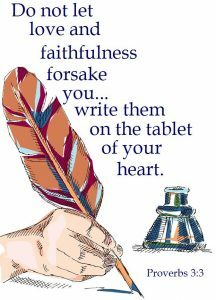 Galatians 5:22 tells us that faithfulness is a fruit of God’s Holy Spirit. The Greek word for faithfulness here “pistos” means to be trusted, reliable, believing, firmly persuaded, and having deep conviction. Other meanings would be standing fast, steadfast, loyal, devoted, trustworthy, dependable, resolute, and honest. It also speaks of endurance and a firmness of purpose that supersedes a just “grin and bear it” attitude when the living gets tough. “Pistos” is a powerful little word. It’s a very positive, active attribute of character and much needed in today’s flippant, irresponsible world. God sets the example in faithfulness. He is the source and standard of faithfulness which He has demonstrated in His dealings with the human race. The great old hymn Great Is Thy Faithfulness comes to mind. We can count on God to be faithful. He does not change. He doesn’t get tired, weary, or fed up with the passing of time. He is not slack concerning His promises. (2 Peter 3:9) That’s why we can totally trust Him. How many of us have trusted medicine but found it didn’t solve our ills, investors but found they were crooks, spouses but found out they committed adultery, evangelists but found they were preaching one way and living another, or politicians but found out they lied? It’s a disillusioning world. Yet, God is always faithful! He is the Rock of a foundation upon which we can build our lives. Faithfulness conveys the concept that someone will be there when needed. God tells us He will always be there for us. He will never leave or forsake us. What about us? 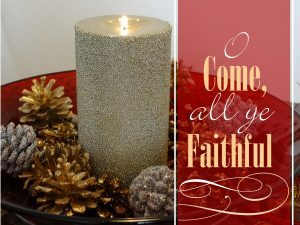 Are we faithful to God and to others? Life is a training ground for faithfulness. Handling little things with consistency, steadiness, and faithfulness is how we learn to be faithful in all things. When Pompeii was destroyed by the volcanic eruption of Mt. Vesuvius, archaeologists discovered many people buried in different positions, in places they ran for safety such as attic chambers or deep vaults. However, the Roman soldier who stood as a sentinel was found standing at the gate of the city where he had been stationed with his hands still grasping his spear. There, while the earth shook beneath him and floods of ashes and cinders overwhelmed him, he stood. He did not abandon his post even when he was engulfed by the hot, molten rock. There he was unearthed after a 1000 years. One final thought… God really didn’t call us to be successful. He called us to be faithful. The faithful person is dependable in all of life’s circumstances.